The past few decades have seen a massive increase in the number of international organizations focusing on global health. Campaigns to eradicate or stem the spread of AIDS, SARS, malaria, and Ebola attest to the increasing importance of globally-oriented health organizations. These organizations may be national, regional, international, or even non-state organizations-like Medicins Sans Frontieres. One of the more important recent trends in global health governance, though, has been the rise of public-private partnerships (PPPs) where private non-governmental organizations, for-profit enterprises, and various other social entrepreneurs work hand-in-hand with governments to combat specific maladies. A primary driver for this development is the widespread belief that by joining together, PPPs will attack health problems and fund shared efforts more effectively than other systems. As Chelsea Clinton and Devi Sridhar show in Governing Global Health, these partnerships are not only important for combating infectious diseases; they also provide models for developing solutions to a host of other serious global health challenges and questions beyond health. But what do we actually know about the accountability and effectiveness of PPPs in relation to the traditional multilaterals? According to Clinton and Sridhar, we have known very little because scholars have not accumulated enough data or developed effective ways to assess them-until now. In their analysis, they uncovered both strength and weaknesses of the model. Using principal-agent theory in which governments are the principals directing international agents of various type, they take a closer look at two major PPPs-the Global Fund to Fight HIV/AIDS, TB and Malaria and the GAVI Alliance-and two major more traditional international organizations-the World Health Organization and the World Bank. Chelsea Clinton is currently the Vice Chair of the Clinton Foundation and a Lecturer at the Mailman School of Public Health at Columbia. She completed her D.Phil in International Relations at Oxford University examining the first decade of the Global Fund to Fight HIV/AIDS, TB and Malaria. She is also the author of It's Your World: Get Informed, Get Inspired & Get Going! 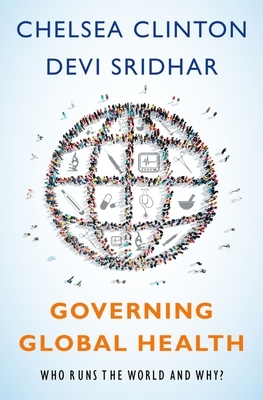 Devi Sridhar is Professor at the University of Edinburgh's Medical School and holds the Chair in Global Public Health. Previously, she was Senior Research Fellow at the Blavatnik School of Government and a Fellow of Wolfson College.